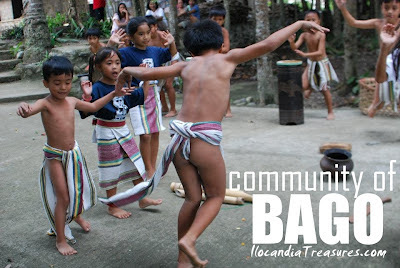 As a kick off to the celebration of Dayaw 2012, an indigenous peoples festival to be held in Malolos Bulacan on November 27-29, 2012, the Subcommision on Cultural Communities and Traditional Arts (SCCTA) in cooperation with the Public Affairs and Information Office (PAIO) of the National Commission for Culture and the Arts (NCCA), a press conference and an opening of an exhibit was held in the NCCA office in Intramuros, Manila on October 24, 2012. 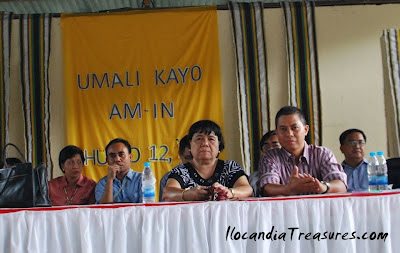 The press conference was attended by mediamen from television, radio and print media. Most of us executive council officers of SCCTA were there to talk about the upcoming celebration. Chairman Felipe De Leon has delivered his keynote speech. 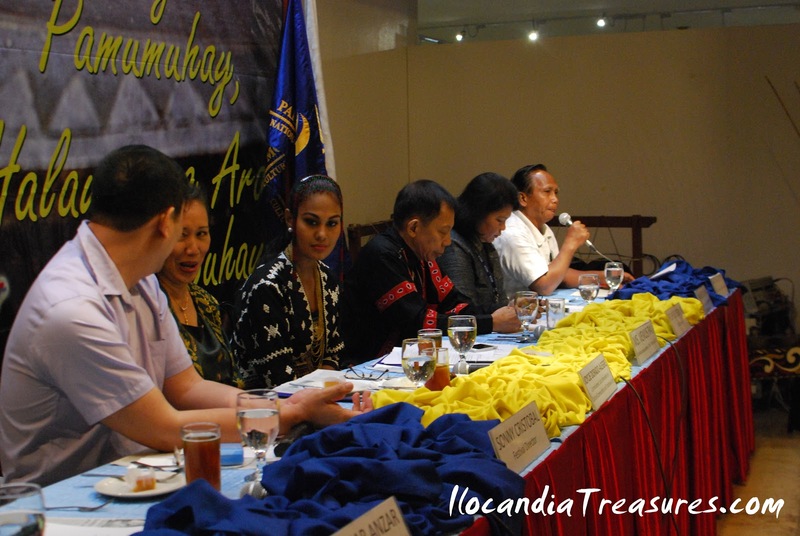 Miss Universe 4th runner up Venus Raj was invited and declared as the Dayaw Ambassador. She gave her thoughts about Dayaw. She even wore a T’boli costume. 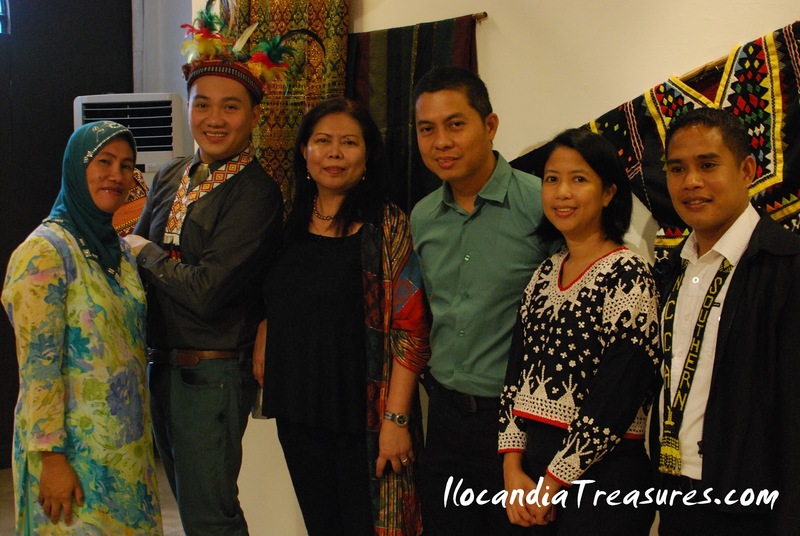 After the presscon, an exhibit of arts and crafts was formally opened to the public at the NCCA art gallery. 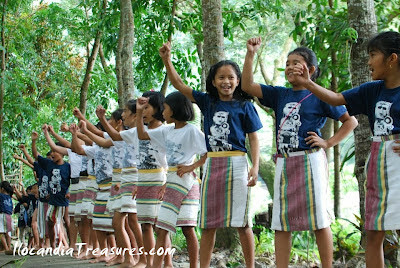 These are the collection of products of the project School of Living Traditions. Crafts showcased were mats, textiles, costumes, accessories, woven handicrafts, bags and many others. 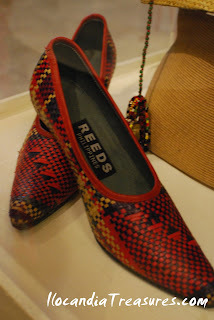 There was even a pair of shoes styled with colorful mat. Its an innovative design. A grand celebration of the indigenous cultures called Dayaw 2012 will be held in Malolos, Bulacan on November 27-29, 2012. 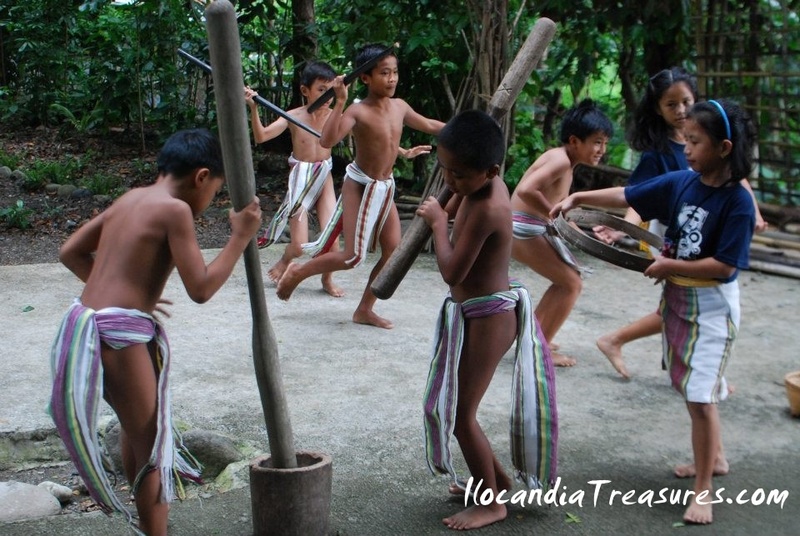 It is an annual celebration conducted under the auspices of the National Commission for Culture and the Arts. It will be a showcase of cultural performances, rituals, traditional games, fora, arts and crafts exhibit, traditional cuisine demonstrations and cultural tours. 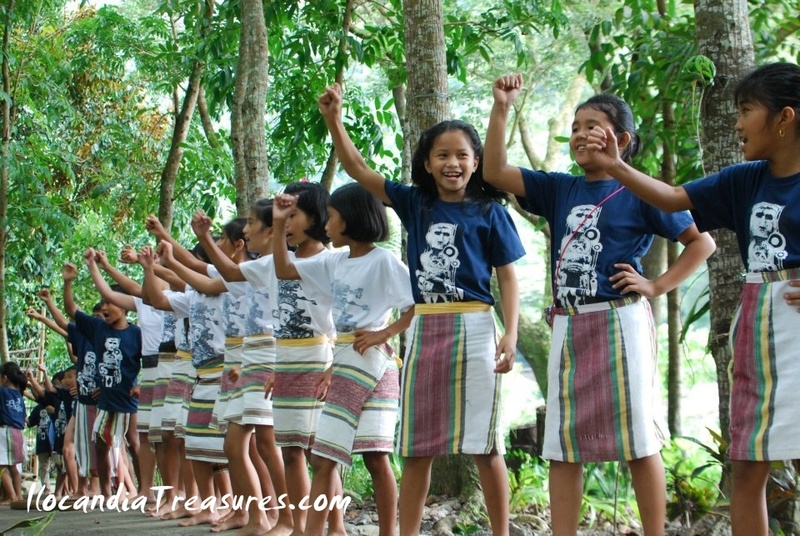 With the celebration’s theme “Katutubong Pamumuhay, Halawan ng Aral sa Buhay” (Indigenous way of life, source of lessons in life), a total of 45 cultural or indigenous communities will converge and highlight the importance and richness of the indigenous cultures. Some of the indigenous communities participating are Gaddang, Isinay, Tinggian, Itneg, Ibanag, Yogad, Itawit, Malaweg, Ivatan, Bugkalot, Isnag, Kalinga, Ifugao, Ibaloi, Kankanaey, Balangao, Bontok, Applai, Ayta, Mangyan, Palawani, Molbog, Jama Mapun, Tagbanua, Pala’wan, Batak, Cuyunon, Agta, Ati, Panay Bukidnon, Waray, Abaknon, Yakan, Subanen, Manobo, Higaonon, Bagobo, Mandaya, Mansaka, B’laan, Sangir, Ata Manobo, T’boli, Teduray, Arumanen, Mamanwa, Maranao, Magindanao, Iranun and Tausug. 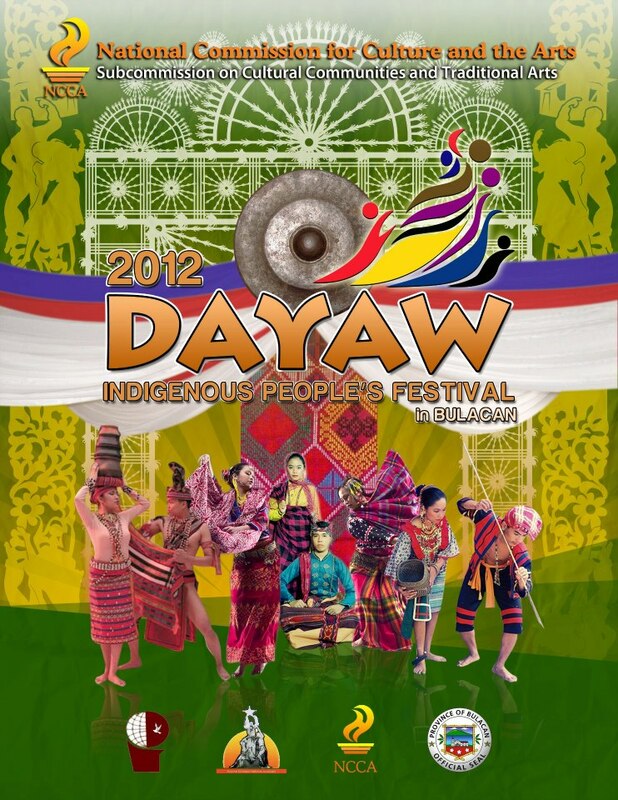 Dayaw celebrates the cultural richness of the country through its indigenous peoples. It is hoped that the festival will foster a deep appreciation of their contributions. As one of the executive council officers of the Northern Cultural Communities committee of the National Commission for Culture and the Arts (NCCA), I was tasked to provide technical assistance to the establishment of a school for traditional culture for the Bago cultural community in the town of Santol in La Union province last July. I met education supervisors Dr. Miriam Najera and Pedro Cudal of the Department of Education Regional Office who took me to Santol for sleepover at Santol Pavillion. On the next day I met Mayor Daisy Sayangda through Mr. Jerry of CLST. 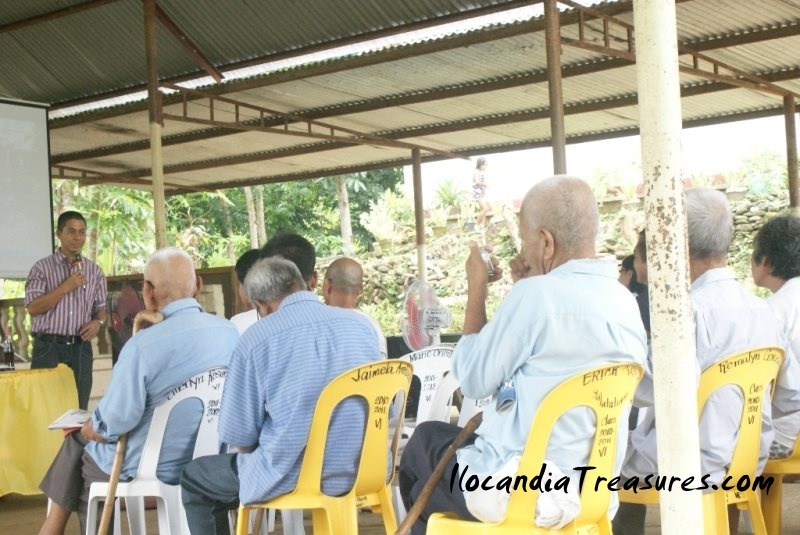 We went to Mangaan Elementary School and started the forum there with the indigenous peoples community especially the elders. Prior to that I gave a lecture regarding the programs and activities of the agency most especially the call for proposals. 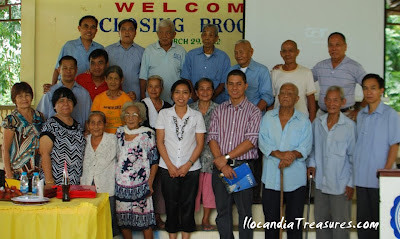 Everyone of them became interested with the priority projects that they can apply for. Some projects are appropriate for their school for culture and traditions. 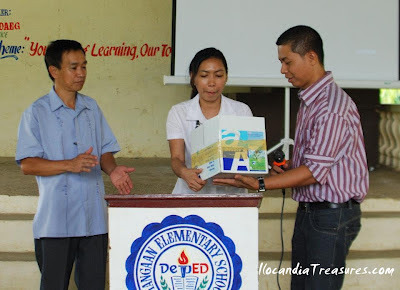 Later after the forum, I handed over to the mayor some of the publication materials and audio visual items which they can use for the school.